A collection of short prose pieces from poet and essayist Mary Ruefle. Mary Ruefle's careful, measured sentences sound as if they were written by a thousand-year-old person who is still genuinely curious about the world ... The book reads like a literary diary that knows it reads like a literary diary. Just when we think we're in 'the real world,' or rather a subjective account of a real experience, Ruefle will pivot into the wilderness of imagination ... The absolute best thing in My Private Property is an eight-page essay about menopause called 'Pause'...Ruefle prefaces the poem with a facsimile of a 'cryalog,' a record of the times she cried on a given day in April of 1998 when she was going through menopause ... Ruefle splits up her lyrical essays and essayistic lyrics with brief but cascading prose poems that assign certain colors to certain kinds of sadness, working a kind of synesthetic magic ... The best writing hangs the world with 'fresh paint' signs. Ruefle's color prayers do this, and so does the rest of My Private Property. 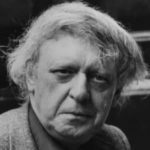 Ruefle’s humor is abundant but not cheap. She is strikingly uninterested in fitting any aspect of her writing into venerable literary shapes or voices. This feels like the exercising of a right ... Several of these pieces will make you want to read them out loud to amuse someone else...But My Private Property also grows very grim at times — almost without warning, and in streaks and pulses, not in a gathering wave. As a whole it is best read alone ... Her experience sounds dark, if we’re going to stay with color-talk. But its final effect, she suggests, was to communicate to her a kind of counterintuitive insight that goes beyond dark or light or good or bad. In this multifaceted collection of prose poems, Ruefle proceeds to take us through her private understanding of every color’s association with sadness, not by some order of the rainbow or color wheel, but in an order all her own ... My Private Property neither gives itself over to nor requires easy categorization. In this slim book are stories short enough to warrant the name flash fiction; there are instances of biographical nonfiction, lyric essay, philosophy, and memoir. 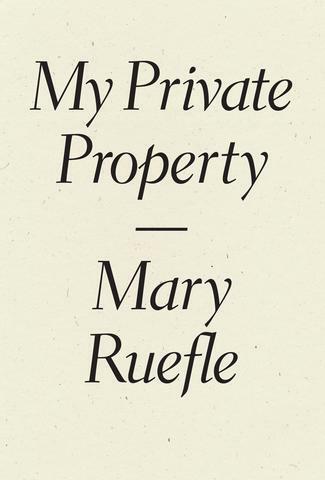 Like much of Ruefle’s work, however, My Private Property is best enjoyed simply as a sampling of moods and thoughts from the same intelligent, delving mind, the kind of pieces one reads for questions, not for answers. Ruefle’s much-praised facility for language, inescapably poetic even when technically considered prose, offers surprise and communion on each page ... Ruefle suggests that if we consider conformity and regulation from the right angle, even they can offer us a revelation, a mystery, or simply a bright shock of joy ... a slim but brimming gift. What did you think of My Private Property?